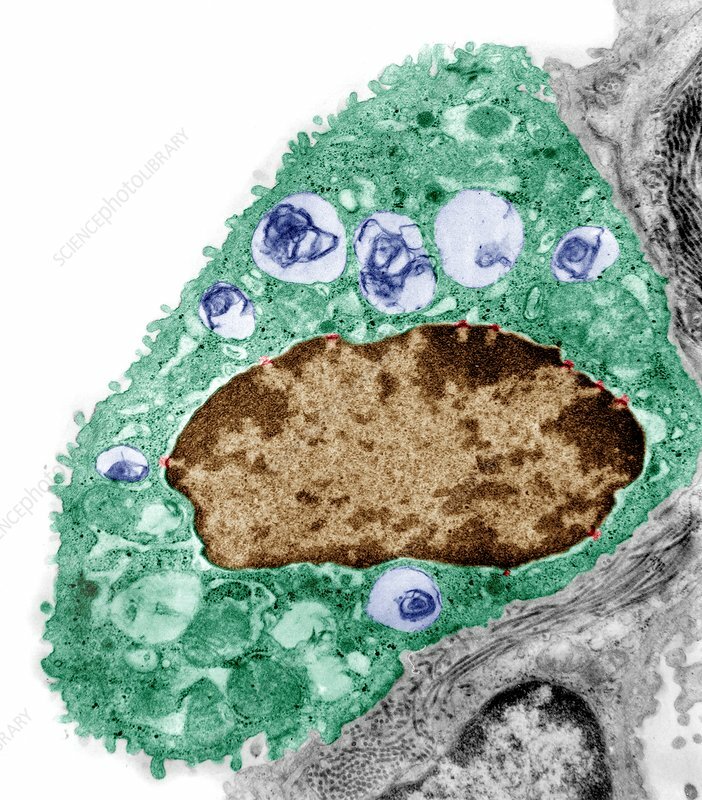 Coloured transmission electron micrograph (TEM) of a section through a type II alveolar cell from an owl monkey (Aotus sp.). This cell is found in the alveoli (air sacs) of the lungs. It secretes surfactant, a substance that reduces surface tension in the air sac and prevents it from collapsing. The nucleus (brown), which contains the cell's genetic information, is at centre. Nuclear pores in its membrane are red. The blue structures are lamellar bodies. These are specialised vesicles that store and transport surfactant.